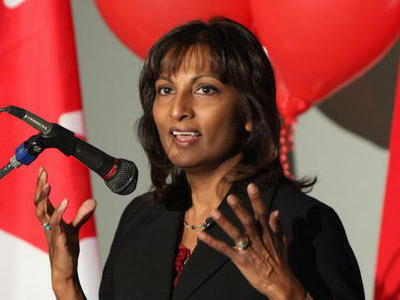 The Rotary Club of Milton is pleased to announce Indira Naidoo-Harris will be the master of ceremonies for the club's April 2nd Spring Fling Dinner & Dance, a major annual fundraiser in support of local youth initiatives. She currently is the provincial Liberal candidate for Halton heading into the fall election, sits on the Board of Directors... for the Nelson Mandela Children's Fund of Canada and is communications director for the provincial Minister of Immigration and Citizenship. Indira Naidoo-Harris was born in Durban, South Africa. In 1967 her family immigrated to Canada. She began her career working for NBC and PBS. Later she worked for CBC's The National. She has anchored 2 of Canada’s national television networks, and many local Ontario TV and radio stations. She has lived in Halton for 18 years. Tickets are still on sale for the Spring Fling Dinner and Dance on April 2 from any Milton Rotarian or by contacting Barb Saxby at 905 319-3241 or via e-mail at saxbyb@yahoo.ca.